It's been called the orangutan capital of the world, but the great apes in Indonesia's Tripa peat forest on the island of Sumatra are under threat by palm oil plantations that have gobbled up thousands of acres of land to make room for trees that produce the most consumed vegetable oil on the planet. Palm oil is found in everything from cookies and lipstick to paint, shampoo and instant noodles, and Indonesia is the world's top producer. 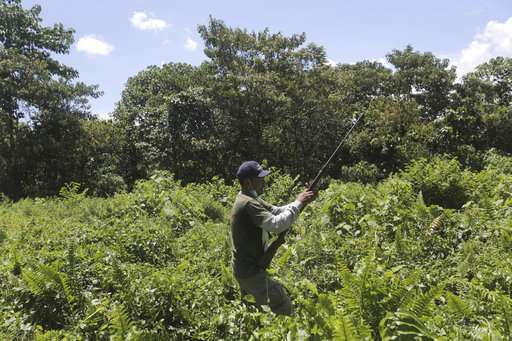 As demand soars, plantations are expanding. 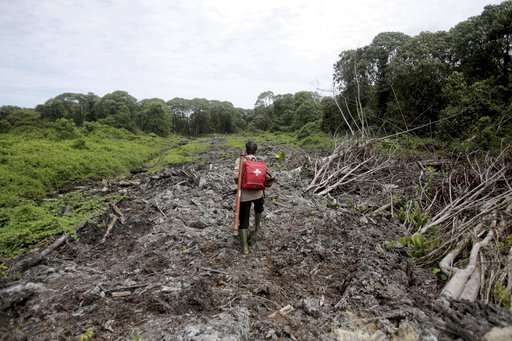 In Tripa, companies drain the swamp, releasing planet-warming carbon into the atmosphere and clear the forest of its native trees, often setting illegal fires. 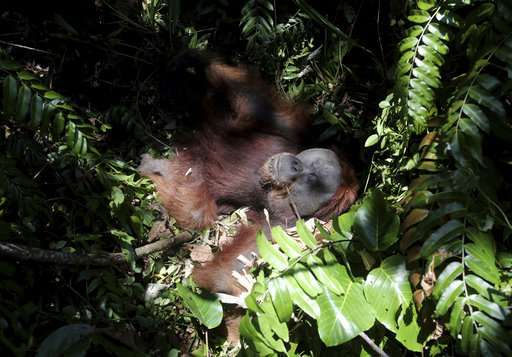 This robs orangutans and other endangered species of their habitats, leaving the animals marooned on small swaths of forest, boxed-in on all sides by plantations. They slowly starve because there is no longer enough food to sustain them or they are frequently killed by plantation workers when they emerge from the jungle in search of food. Mothers often die protecting their babies, which are taken and sold as illegal pets. 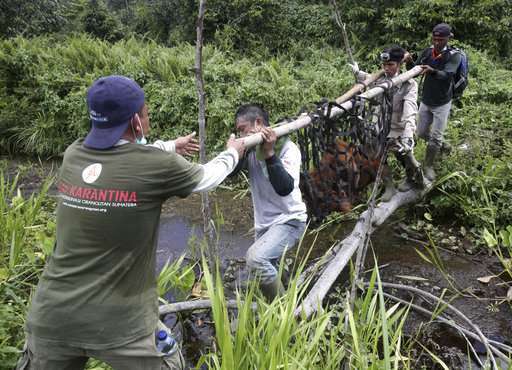 On Aug. 10, a rescue team from the Sumatran Orangutan Conservation Program, accompanied by the Indonesia's Nature Conservation Agency, hiked into the Tripa peatlands to look for a mother and baby orangutan that had been reported in an area being overtaken by oil palms. The plan was to sedate and relocate them, but when the team arrived, there was no sign of the duo. 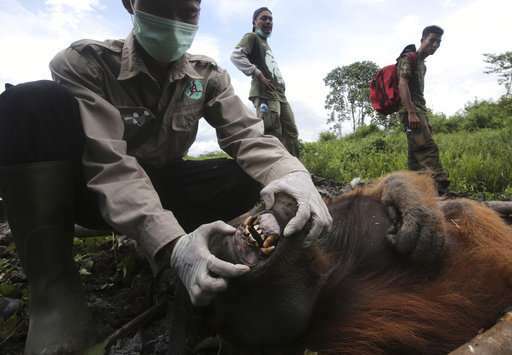 Instead, they encountered a 50-kilogram (110-pound) male orangutan that was about 20 years old. 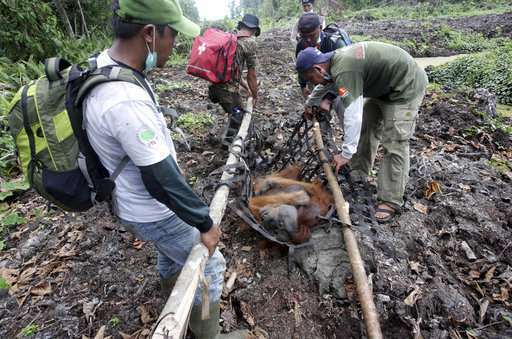 He too was suffering, and the team managed to tranquilize him and carry him out of the jungle in a stretcher net. 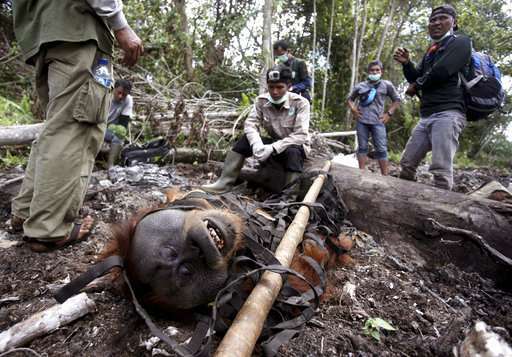 He was named "Black," and driven about eight hours to an orangutan reintroduction center in Jantho, Aceh Besar. 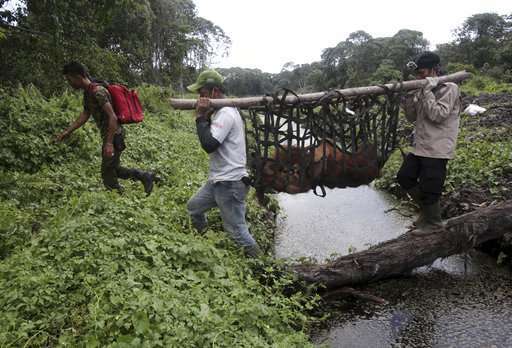 He joined about 100 other primates that have been released in the jungle to establish a new wild population. 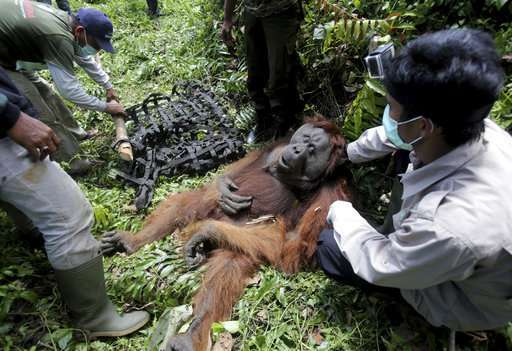 Only an estimated 6,600 critically endangered Sumatran orangutans remain. Less than 200 are believed to be living in the Tripa swamp, but it is still one of the densest concentrations of orangutans. 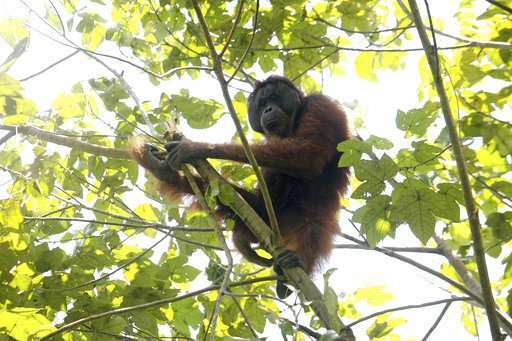 The great apes are only found on two islands, Sumatra and Borneo, which Indonesia shares with Malaysia. Both support separate species. 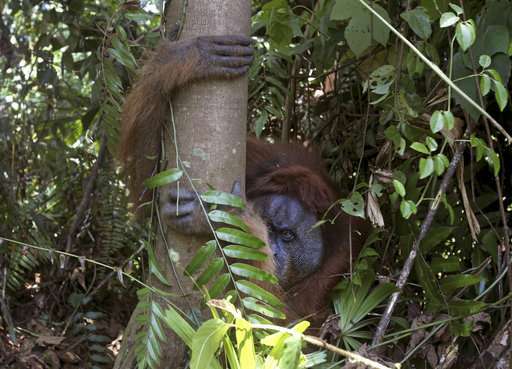 "Capturing wild orangutans is not something we like to do. 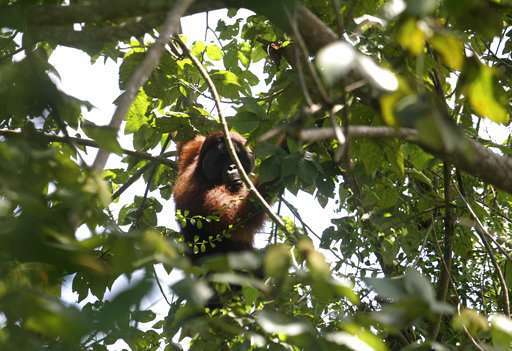 It is difficult, highly stressful and risky for all concerned," said the rescue group's director, Ian Singleton, who has been studying Sumatran orangutans since the 1990s. "It really is a last resort, and a reflection of the dire situation many of these animals are in as a result of the ongoing destruction of their habitat."